Learn how to fix, when you can't enable Developer mode in Windows 10 due to "Developer Mode package failed to install. Error code: 0x80004005" message. 3. In the corresponding right pane of AU registry key, you’ll see a registry DWORD (REG_DWORD) named UseWUServer which might be set to 1. Double click on it to modify its Data. 4. Then in Edit DWORD Value box, put the Value data as 0. 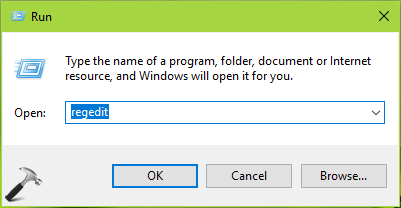 Click OK and close the Registry Editor window. You can now reboot your machine and try enabling Developer mode, it should get activated this time. Hey, good work and thanks for sharing it, helped me to get my PC on developer mode! Hi in my pc i am not WindowsUpdate folder plz help me how i can Create it ? ^^ Right click Windows registry key (HKEY_LOCAL_MACHINE\SOFTWARE\Policies\Microsoft\Windows). Select New > Key and name newly created sub-key as WindowsUpdate. Similarly create AU registry key. ^^ Make sure you’re connected to a fast Internet connection and suggest you to give it some time, it may work! This process didn’t work for me in our Domain Environment. The registry key gets reset after a reboot. Instead of rebooting, I changed the registry key mentioned above, then restarted the Windows Update service. I was then able to enable Developer Mode. ^^ Great, thanks for adding this! Thank you for the fix. It worked perfectly for me. Thanks, it worked. Small note: enabling developer options (if your company uses WSUS) also works without reboot, if you restart the ‘windows update’ service (eg via services.msc) after changing the mentioned registry key. Thanks for the fix. It worked like a charm. Worked for me, thanks. Whats the magic here? What does the registry key do? I can see the error msg while following the above steps: while changing the value from 1 to 0 I got and error popup, saying: cannot edit UseWUserver: Error writing the value’s new contents. Could you please help me in it? “Ask the developer for a new app package. This package may conflict with a package already installed, or it depends on things not installed here (package dependencies), or is made for a different architecture (0x80073CF3)” while installing the app. I have created a appxbundle file using debug mode on my development windows 10 machine and successfully installed on it. However I wanted to test it on another windows 10 machine/laptop, there I am facing this error. ^^ Which build you’re on? ^^ Create manually, refer previous comments. Thanks so much, this worked perfectelly! ^^ Glad to help, Agustina! This worked for me, too! Thanks! Just a question. Is it safe to keep this at zero? Or after enabling developer mode successfully, should we revert this to 1? Hello Kapil. I followed your instructions changing the registry key DWord named UseWUServer to a value of 0. This fixed the problem and I successfully installed the Developer Mode package on my laptop running an Enterprise version of Windows 10. By making this registry change, will it affect in any way the usage of a WSUS server pushing patches and upgrades? And since the Developer Mode package is installed, can I safely revert to the previous registry key? ^^ It may affected. Can you try reverting registry value now and see if you still have Developer Mode enabled. I have done everything you suggested. But The Windows Developer Mode Status always shows “installing… ” When I check in manage Optional Feature the process is installing, I had to wait a day for it. But it keeps installing, and nothing changes. ^^ Which version you’re on? Try to be on V1803, which is latest right now. Thanks so much, this worked perfectly..